At times of financial restraint and when Governments are looking at how civil society can be recruited to deliver on their own agenda then how can we ensure that the many associations that make up civil society can protect their independence. Can social networking help create a network of mutual independence that strengthens the countless groups that are the social glue of our civil society? This is the topic of this webinar. How do we develop social networking so that groups can have an influence and make a difference? Is it sufficient to just set up a meetup site or a NING site for example and then hope that it will take off into cyberspace and be successful. What more do we need to do to reach wider audiences and particularly vulnerable and marginalized groups that do not always join into existing online communities? I’ll be joined by Joe Taylor, who will be talking about NatCAN, The National Community Activist Network, that has 630 members on a Ning network. Joe and the team behind NatCAN also use Skype and other tools to collaborate and help activists connect. The event is part of a series by the Third Sector Research Centre in their Beyond the Radar programme: more here. That’s been exploring how small “Below the Radar” groups can maximise the impact of their activity. As I hope you see from the slides – particularly the version with notes – I’m suggesting that we can’t expect social networking technologies on their own to empower groups and connect up the thousands of activists who could learn from each other. That depends – as ever – on networky people and more sociable organisations. 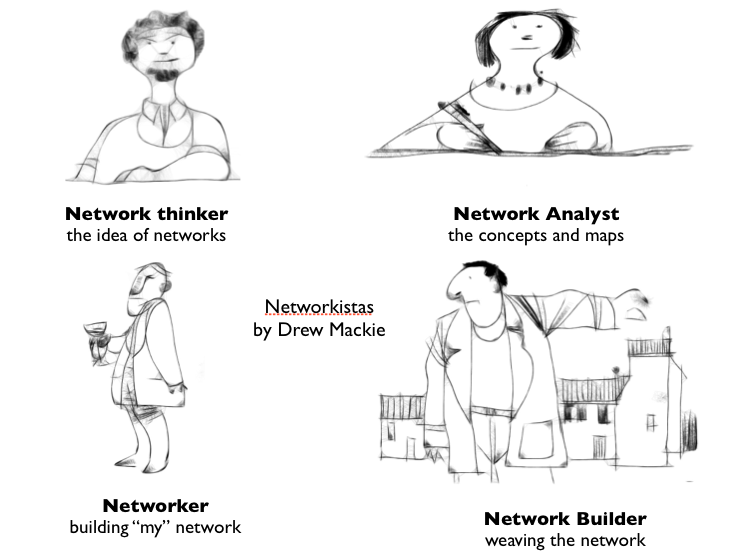 I’ve used Drew Mackie’s cartoons of the various Networkistas, and I’ll be talking about the role of social reporters in making sense, joining up and helping out. Posted on February 28, 2012 by david wilcox. This entry was posted in All posts, social media, social reporting. Bookmark the permalink.